Alan Drabble’s School Of Motoring has been providing driving lessons in and around Barnsley and throughout South Yorkshire for the last 18 years. 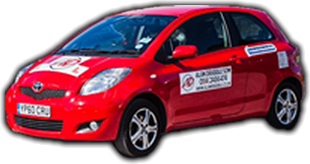 Our instructors have the experience and knowledge to offer you professional and friendly driving tuition regardless of your goals or needs. With our competitive pricing and individual learning plans why wouldn’t you come on board with us? For our first time learners we have some amazing deals, allowing us to find out your driving experience and put together a course based on your own individuals driving needs.